Fans hoping for a Roger Federer and Rafael Nadal semi-final were left somewhat disappointed after 2009 US Open champion Juan Martin del Potro upstaged the 19-time grand slam winner in four absorbing sets. After Nadal blitzed teenager Andrey Rublev in the quarter-finals, supporters from across the world were dreaming of another epic showdown against fellow icon Federer in the final four at Flushing Meadows. However, 24th seed Del Potro did not read the script as he prevailed 7-5 3-6 7-6 (10-8) 6-4 in a rematch of the 2009 US Open decider, in which he trumped Federer eight years ago. Federer showed flashes of his brilliance but not often enough on Wednesday, while the third seed was wasteful, especially in the third set – failing to convert four set points as Del Potro reached the US Open semis for just the second time. But as the set wore on, Del Potro grew in confidence and so did his power as he fired some unplayable shots past the silky Federer. 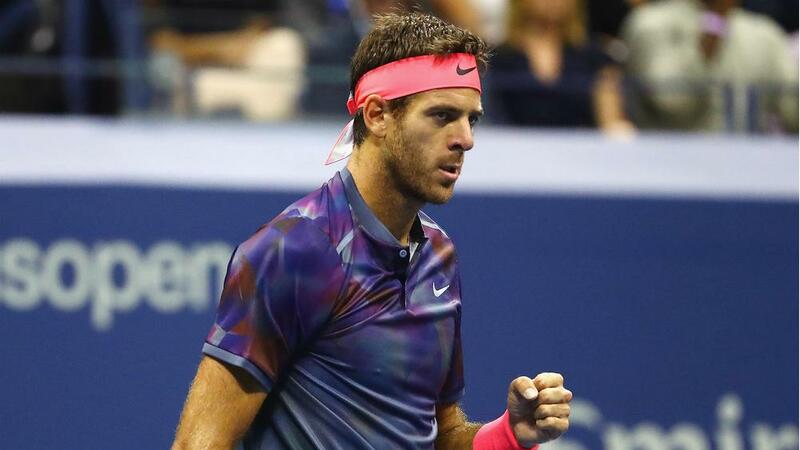 And it proved decisive as Del Potro claimed the all-important break in the 11th game before serving out the set amid a chorus of chants reminiscent of a football match. As is the case with Federer, you can never take your lead and position for granted, and the Swiss maestro proved that again in the second set. After bringing up a break point in the second game, Federer finally broke through in the fourth before consolidating for a 4-1 advantage to wrestle the momentum back from the big-hitting Argentinean. Battling illness heading into the quarter-final clash, there were concerns for Del Potro when he called for the doctor at the end of the second set. But just like in the first set, when Federer double-faulted to be broken, Del Potro benefited from another service error to take a 2-0 lead, and he stayed ahead until the former put the set back on serve in the eighth game. The set went to a tie-break and Federer looked poised to take a two-sets-to-one lead, but Del Potro saved four set points as he stunned his opponent and the crowd. Facing elimination in the fourth set, Federer was uncharacteristically wayward and error-prone, in the fifth game particularly. While Federer rallied from 15-40 down, he fired a routine smash into the net as Del Potro broke for a decisive 3-2 lead and it proved a mountain too high for the former, whose quest for a sixth US Open title came to an end.